The definitive guide to caring for your premature infant--in a newly revised and expanded edition. 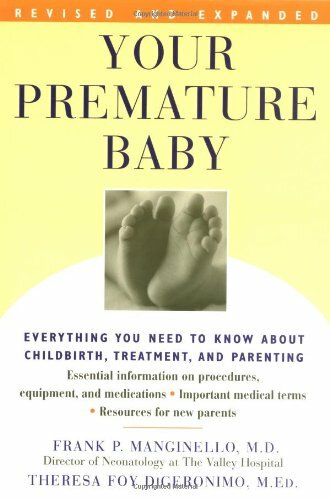 The comprehensive and acclaimed guide to everything you need to know about your premature baby, from prebirth preparation to home care, is now more up-to-date than ever. This new and expanded edition covers the latest procedures, equipment, and medications, and includes the most current information available on multiple births, respiratory treatments, nutrition, diagnostic imaging, follow-up therapies, and more. You'll also find moving and instructive personal accounts from other parents who have coped with the emotional and practical issues of premature birth. With updated resources for parents on everything from clothing and breastfeeding to social services, financial assistance, and support groups, Your Premature Baby provides essential information and peace of mind. "You want to know what treatment your baby will require . . . what her development will be like, and what special care she will need. All these topics are addressed in this helpful book . . . inspirational." --American Baby. About Frank P. Manginello (Author) : Frank P. Manginello is a published author. 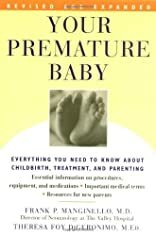 Some of the published credits of Frank P. Manginello include Your Premature Baby: Everything You Need to Know About Childbirth, Treatment, and Parenting.